Majlis Khuddam-ul-Ahmadiyya Nigeria, Ondo District organised a youth peace symposium and an awards ceremony on 7 January 2019. 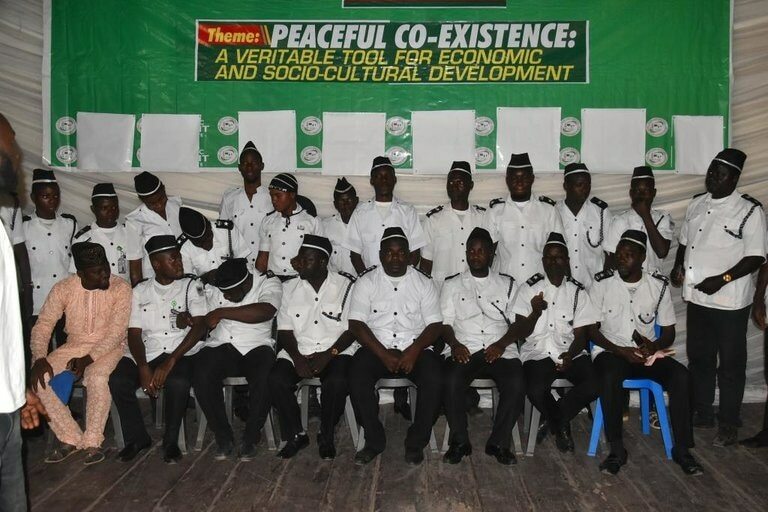 The symposium, with the theme Peaceful Coexistence: A Veritable Tool for Economic and Social-Cultural Development, was held at the Adegbemile Cultural Centre in Akure, Ondo State. The guest lecturer, Mualim Muhammad Waiz Apooyin in his lecture condemned the pitiable condition of society in relation to the disunity, nepotistic rivalry, sociocultural enmity and lack of peaceful coexistence among the culturally diverse and multi-ethnic Nigerian society. However, he urged policymakers and most importantly all Nigerians at large to foster the much-craved national cohesion which would usher peaceful coexistence and ultimately culminate into a glorious economic and sociocultural development. Ondo State Governor Arakunrin Oluwarotimi Akeredolu represented by his Senior Special Assistant on Infrastructure Engineering Aminu Abdul Rahman thanked the members of Majlis Khuddam-ul-Ahmadiyya for the award and stressed his administration’s commitment to the welfare of the Muslim community in the state. He noted that a large number of people in the state were Muslims and therefore enjoined their continuous support for his administration. Highlights of the event included a presentation of awards to Sadr Majlis Khuddam-ul-Ahmadiyya Nigeria Saeed Aina, Executive Governor of Ondo State Arakunrin Oluwarotimi Akeredolu, and former Qaideen in the state Uthman Malik and Mushood Jimoh who contributed immensely to the development of Majlis Khuddam-ul-Ahmadiyya activities in the state.